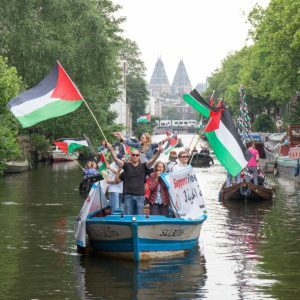 Be A Part Of The 2019 Freedom Flotilla For Gaza ! The Freedom Flotilla For Gaza is planning events in the U.S. and Canada this summer. Our objectives are to raise awareness in our communities about the situation in Gaza and provide hope to people in Gaza. At the same time we are designing these events to be great for the whole family. If you would like to help with one of the events above or want to have an event in your town contact us so that can work together to make it a success! See the 2018 Gaza Freedom Flotilla! For a more detailed account of the 2 1/2 month trip review it in detail on Twitter.